Practical training is helping farmers and hatcheries improve their farm production and profits, as well as assisting women fish retailers to secure employment. Egypt’s aquaculture sector provides full-time employment for more than 140,000 people and is a critical source of fish that provides Egyptians with up to 38% of their animal protein intake. Despite being valued at US$ 1.5 billion, the sector faces various challenges. Poor and variable water quality, as well as restrictions on water and land use, limit the growth of aquaculture. 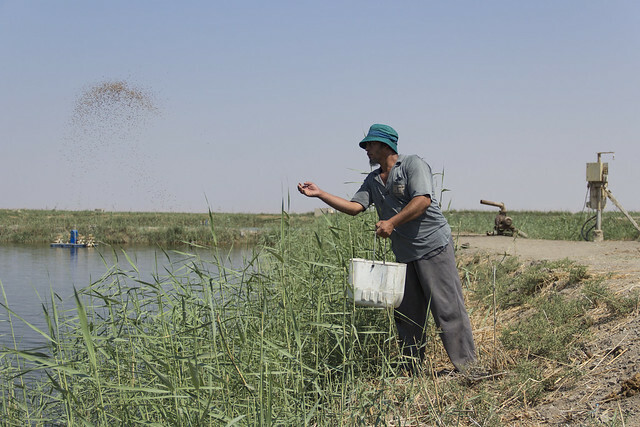 Rising feed costs and the increased poverty levels of consumers mean fish farmers are feeling the pressure of higher production costs and lack of price flexibility. 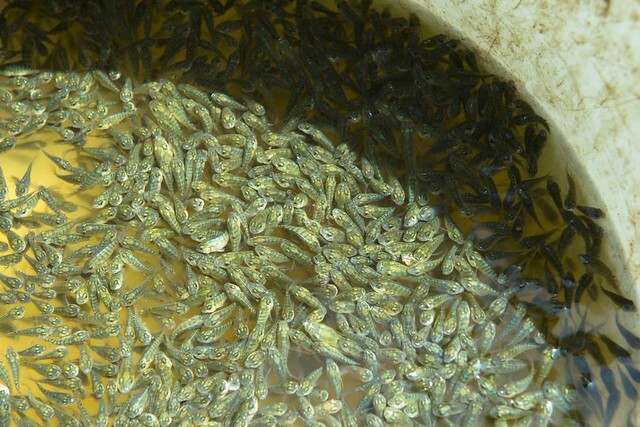 The Improving Employment and Income through Development of Egypt’s Aquaculture Sector (IEIDEAS) project, funded by the Swiss Agency for Development (SDC), has helped to strengthen the aquaculture sector by improving the profitability of fish farms and securing employment for a range of value chain actors, including women fish retailers. The project provided practical training on aquaculture best management practices to more than 2000 fish farmers across five regions. 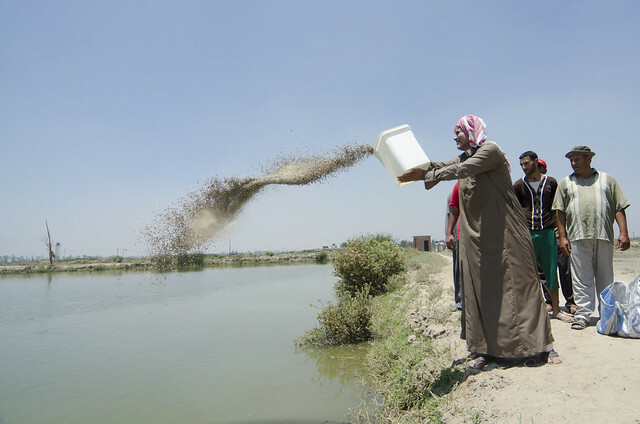 The training focused on increasing the efficiency of farms through improved fish feed management, reduced stocking rates, improved water management and pond fertilization. 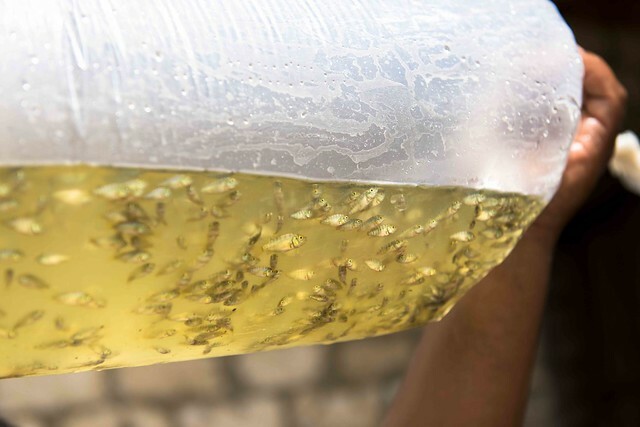 Selected farmers, along with public and private sector hatcheries, were also supplied with the genetically improved Abbassa strain of Nile tilapia, which grows up to 30% faster than the country’s next best commercial strain. Farmers who received the training, the Abbassa strain, or both interventions are now earning around US$ 18,000 more in annual profits than those who are yet to receive project support. This amounts to an increase in profitability from 12% for nonbeneficiaries to 30% for farmers assisted by the project. Optimizing the efficiency of the farms builds a solid base for further intensification, and increased profitability will attract further investment and employment in the sector. Additionally, women fish retailers were assisted by the project to form retailer groups to enable them to better control the prices for their fish and lobby for safer and cleaner marketplaces. Due to social and religious norms, informal fish retailing is one of the few segments of the industry where women can work, and it’s a job that comes with many hazards. Without licenses to sell fish in the market, the women retailers have no protection and are frequently harassed and forced to pay unofficial retail fees. Exposure to the elements affects the women’s health, and the heat from the sun often causes their produce to spoil, reducing the amount of income they can earn. The project held interactive theatre workshops for 900 women where skills such as negotiation and problem solving were taught in order to help the retailers overcome challenges such as harassment. As a result, fish retailers assisted by the project are now earning higher profits than similar fish retailers who have not yet been assisted. 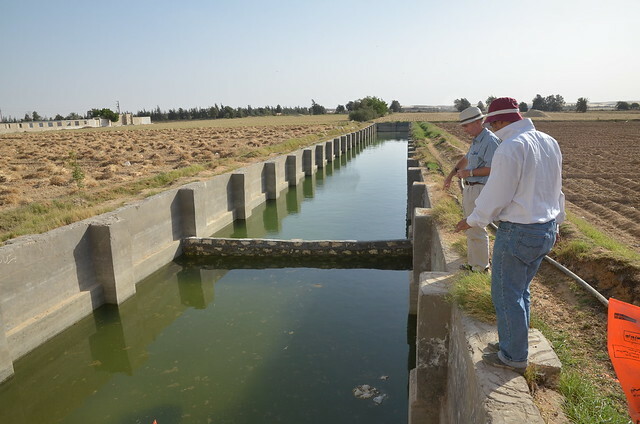 The IEIDEAS project is part of the CGIAR Research Program on Livestock and Fish and is implemented in five Egyptian governorates by WorldFish, in partnership with CARE and the Ministry of Agriculture and Land Reclamation.